Creating a leasing process that will help you achieve a profitable rental property is our top priority.  J. Butler’s leasing team is known for effective marketing and resident retention programs. We screen thoroughly to ensure quality tenants who fit well into your building with incredibly low delinquency rates. Our tenants stay longer, which results in a lower turnover rate and a higher return on your investment. Market analysis for every vacancy and before tenant’s lease renewal to optimize existing rents and maximize new tenants’ rents.We will find the perfect rates to keep your tenants happy while you earn the most income. Marketing for each vacancy in your apartment building through various trusted advertising venues to maximize the number of qualified prospects. Agent training in Fair Housing law practices, as well as selling strategies. On-site leasing depending on the size of the building. Our qualified leasing team can ensure prompt lease-ups and fully occupied properties. Tenant screenings including the most advanced background reporting software systems and trained leasing agents to match appropriate prospects with your property. Showings of your properties to pre-screened prospects. Each member of the leasing department is trained in proper sales strategies to ensure success. We also use this opportunity for extra screening of potential tenants. Lease and legal documents tailored to your specific property, including substantial legal protection to both you and our firm. Lease renewals to maintain a healthy and happy apartment environment and minimize turnover costs. Our team works every day to ensure residents satisfaction. Pre and post occupancy inspections to document property condition. Photos are archived in our computer system and used during the final walk-through of the property. This protects you from being financially responsible for any damage caused by the tenant. Tenant lease expirations which encompass a 60-day notice before moving to allow our leasing department ample to re-rent the unit, minimizing vacancies and increasing your return on investment.